How to generate a GST invoice? Generate, download and send invoices. Bill your customers by creating an invoice. Here’s a quick guide to create a new invoice. Navigate to the Sales tab to create a new invoice. Customer Details: In this section, you will be learning about entering the basic customer and invoice details. The Customer Name field should be filled with the name of the customer or company name for whom you wish to raise an invoice. Pick the customer from the list you have created already or add a new customer by selecting the Add Customer option. The Attention too field should be filled with the name of the person or employee of business/company whom you wish to maintain on invoice. Set the Invoice Date, on which the invoice is created. Also, set the due date of the invoice for customers. The shipping detail field should be filled via Shipping Date, Ship via and Tracking No. 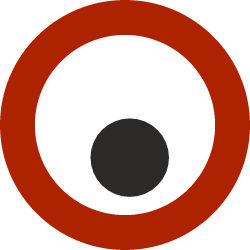 (This is not a mandatory field. Set any extra or custom information in Field 1, Field 2 and Field 3. Product and Service detail: In this section, we will be walking you through the procedure of adding the product and service details in your invoice. You can select or type in an item from the list of items shown in the drop down. Select the Click to Add New option to add a new product/service and add the description in the field. Once the product/service is selected, the Rate field is automatically populated. The Rate field can be edited. Fill in the Quantity of the products and enter a Discount amount if you wish to provide. Apply a Tax rate to the Product/Service you have added from the tax drop down. To create a new tax, navigate to Setting and Create a New Tax. Add Message Notes related to the invoice which will be displayed on the invoice when sent to the customer. Now click on Generate Invoice to create the new invoice, navigate to menu and click on Invoice option to see all the generated invoice. Click on Generate Invoice & Update A/c. button to create a new invoice and update accounts in ledger. If you need to make changes to the billing information provided in the invoice, use the edit option. Navigate to Invoice option presented under the menu option at top left corner. Click on the Invoice Number that you wish to change. Edit your invoices by clicking on the Edit icon placed on top of the invoice window. 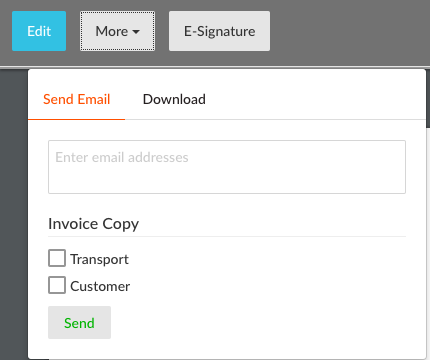 To send the invoices to your customers by Email option, click on the More button present on the action bar. In the email window, fill in the Email address. Click on the Send button to email the invoice to your customer.